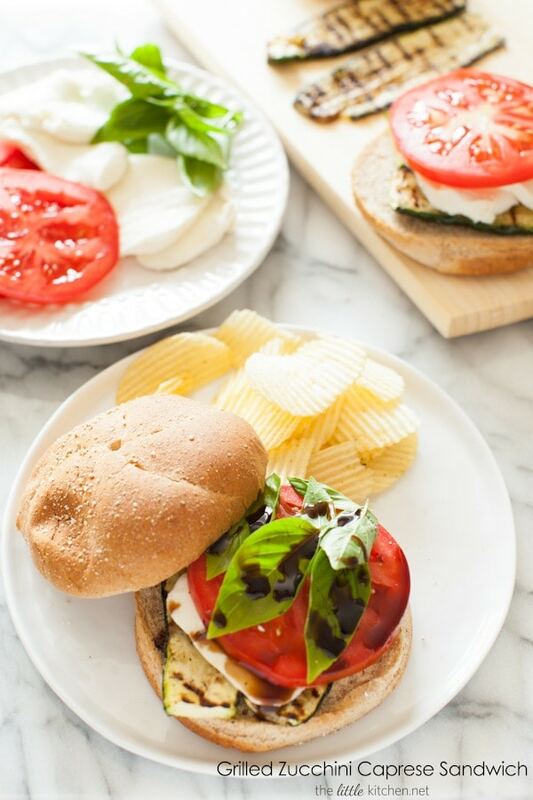 I’m excited to share this quick and simple summer recipe thanks to Cobblestone Bread Co..
To me, summer is about long sunny days, icy cold drinks, grilling outside and hanging out with friends and family. I think it’s my favorite season of the year because of the long sunny days (but not the Florida heat part of it 🙂 ). 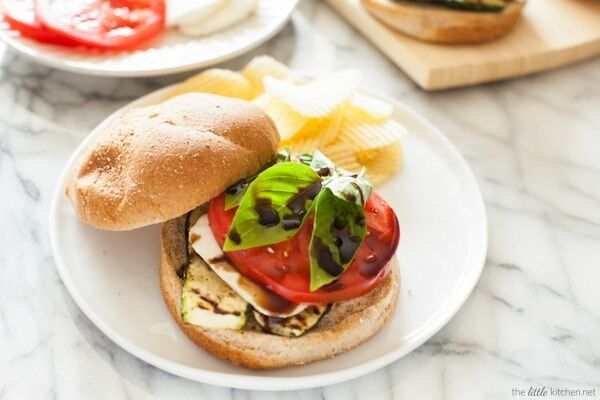 I love easy grilling recipes and this recipe is a fresh take on a classic – a caprese sandwich with grilled zucchini and I love that it’s vegetarian. This recipe is so easy, it will take you less than 20 minutes and you’ll be eating soon! You know as well as I do, how important the bread is. The bread makes the sandwich! For this recipe, I chose the Cracked Wheat Kaiser Rolls. 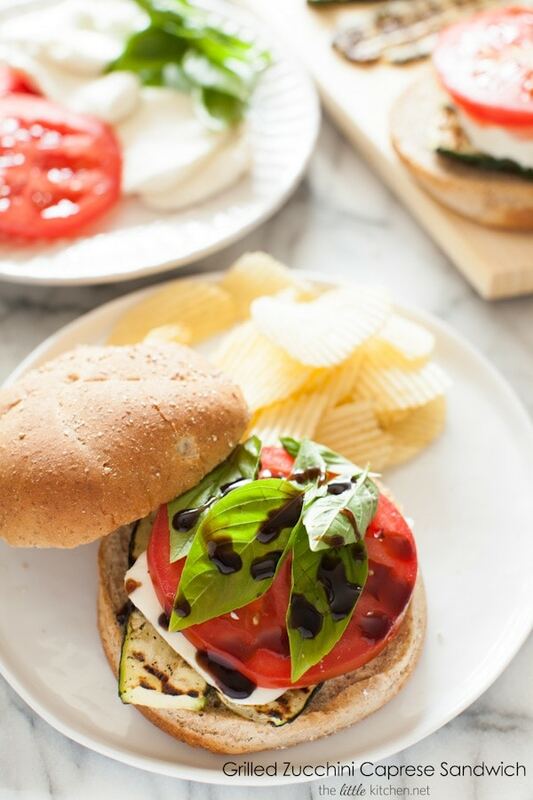 It’s so good and works great for every day sandwiches and for your favorite grilling recipes. Add olive oil and salt and pepper your zucchini slices. You can use eggplant or red peppers, if you want. There’s nothing like grilled vegetables…my favorite side dish during the summer! It’s so good. I used a fig balsamic glaze when I made these and it’s awesome. 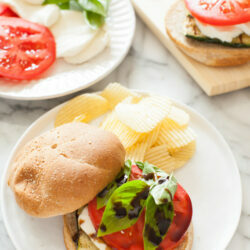 It’s your favorite caprese sandwich kicked up a notch. For Curtis, I would have to add a piece of grilled chicken. Light, easy, quick and it’s even gourmet! Preheat a grill on high or a grill on pan on your indoor range at medium high. Season zucchini slices with salt and drizzle olive oil on top. 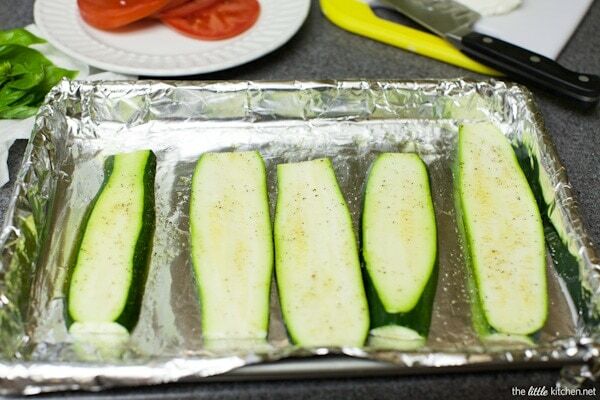 Grill zucchini slices on medium high for 2 to 3 minutes on each side. 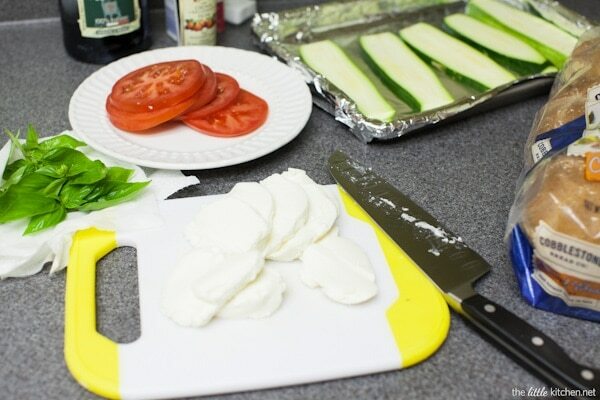 Layer zucchini, mozzarella, one slice of tomato, basil leaves on Cobblestone Bread Co. Cracked Wheat Kaiser Rolls. Drizzle balsamic glaze to taste and serve immediately. 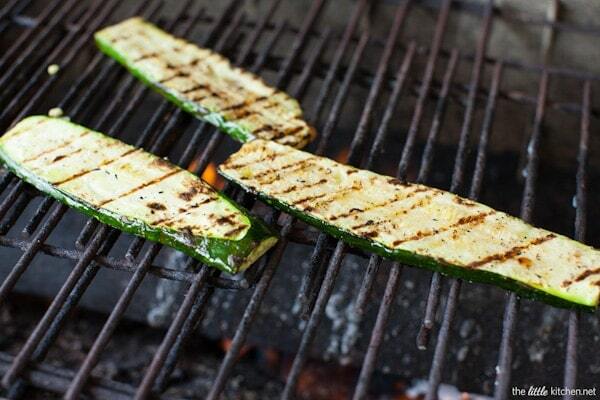 Notes: Grilled zucchini can be substituted with red peppers or eggplant. Feel free to add grilled onions or to make it for your favorite meatlover, add a piece of grilled chicken. 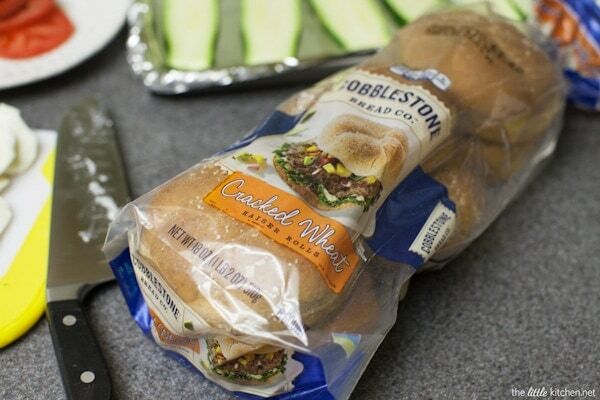 Disclosure: Compensation for this post was provided by Cobblestone Bread Co. via AOL Media. The opinions expressed herein are those of the author and are not indicative of the opinions or positions of Cobblestone Bread Co. or AOL.